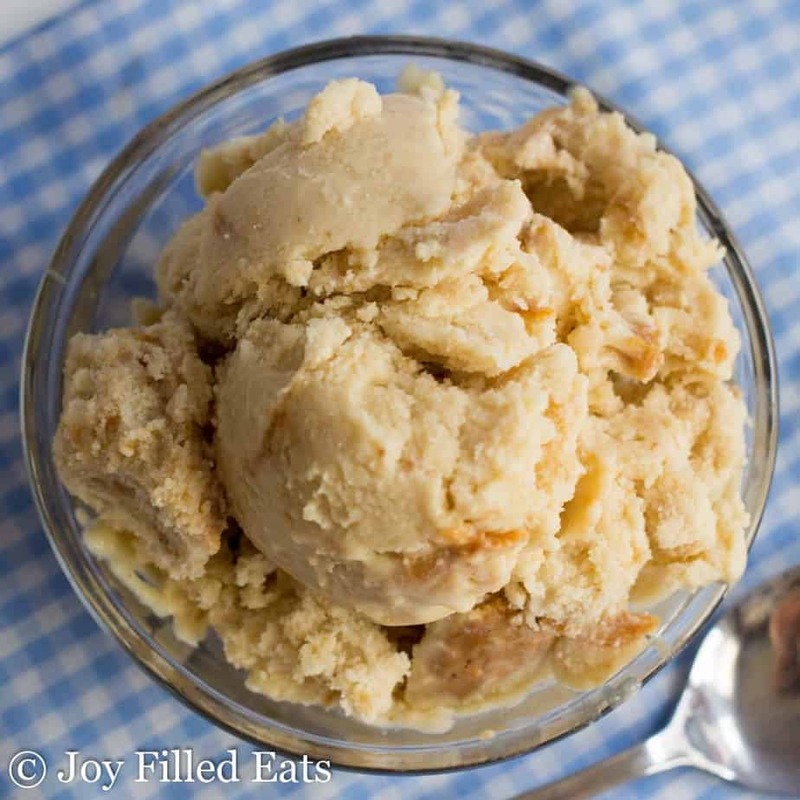 This Peanut Butter Ice Cream with Coconut Milk is perfect for any ice cream craving. 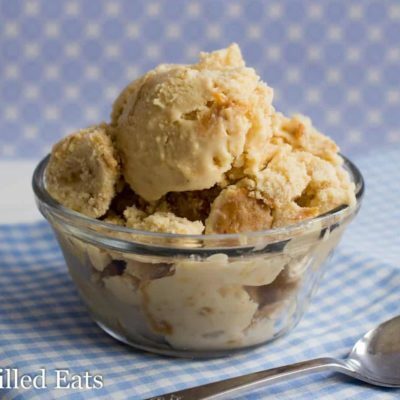 It has the perfect contrast between the sweetness of the ice cream and the saltiness of the peanut butter swirl. A scoop or two after dinner and your evening will be complete. I’ve been wanting to try a dairy free ice cream for awhile now. But my main criteria is that I did not want it to taste like coconut milk. I have nothing against coconut milk and coconut ice cream is delicious but I just wanted to cover up that coconut taste for this recipe. 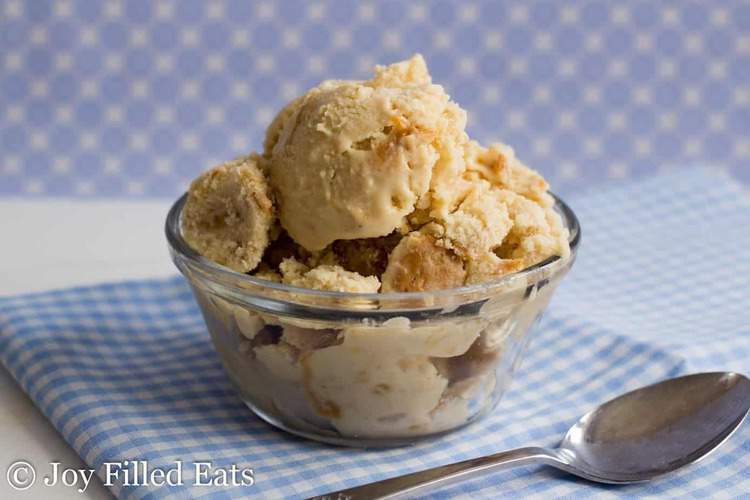 Peanut butter is a strong enough flavor that it does the job nicely. There is a hint of coconut behind the peanut butter but not enough to be obtrusive. The secret ingredient in this ice cream is the raw cocoa butter. It helps make the ice cream creamy while adding healthy fat. Raw cocoa butter is available on Amazon and it is about the same price per ounce as sugar-free chocolate. It has a delicate white chocolate flavor and I recommend giving it a try. 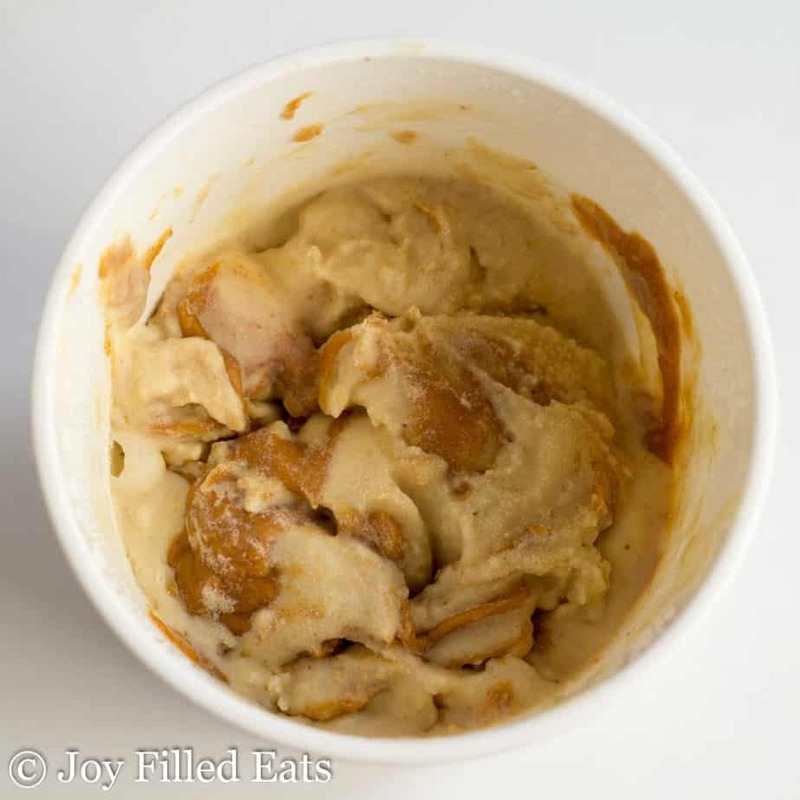 The final step to this is swirling in the peanut butter once it has finished churning. I love the slightly salty and savory taste of the peanut butter in comparison to the sweetness of the ice cream with coconut milk. Combine coconut milk, almond milk, and the sweetener in a saucepan over low heat. Simmer for 1 hour or until reduced by 1/4. 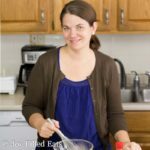 Put the egg yolks in a large glass bowl. While whisking vigorously slowly pour the hot milk mixture over the yolks. Add the raw cocoa butter and 1/3 cup of the peanut butter and stir until the cocoa butter melts and the mixture is smooth. Chill for 6-8 hours. 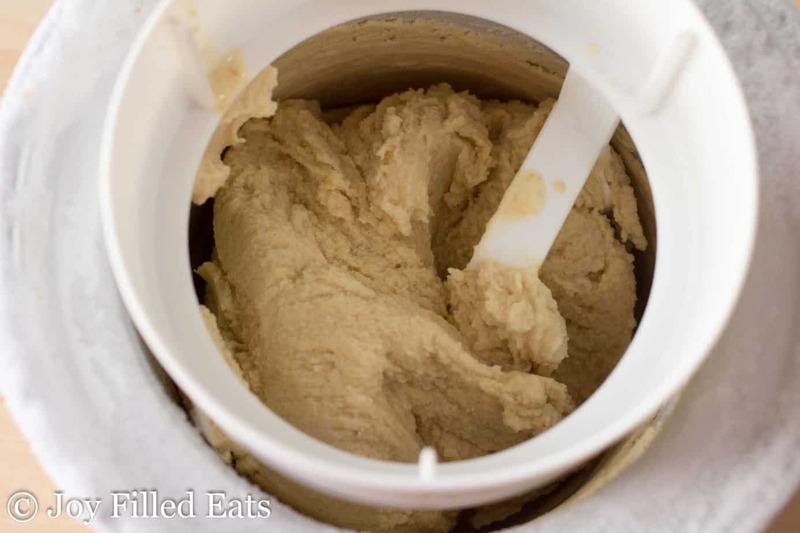 Pour into a 2-quart ice cream machine and churn according to the manufacturer’s instructions. If your ice cream machine is smaller than 2 qt. you will have to churn this in 2 batches. Or make some into ice cream and some into ice pops. When the ice cream has finished churning gently swirl in the remaining peanut butter. Freeze until firm. If this hardens in the freezer simply leave out at room temperature for 15-30 minutes to soften before serving. Chill for 6-8 hours. 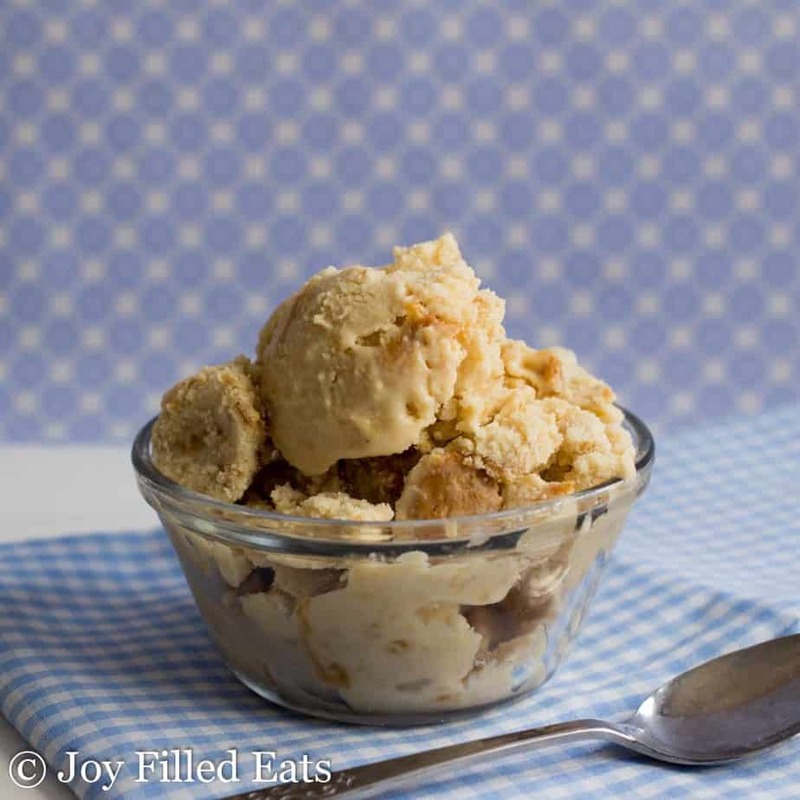 Pour into a 2-quart ice cream machine and churn according to the manufacturer's instructions. If your ice cream machine is smaller then 2 qt. you will have to churn this in 2 batches. Or make some into ice cream and some into ice pops. When the ice cream has finished churning gently swirl in the remaining peanut butter. Freeze until firm. 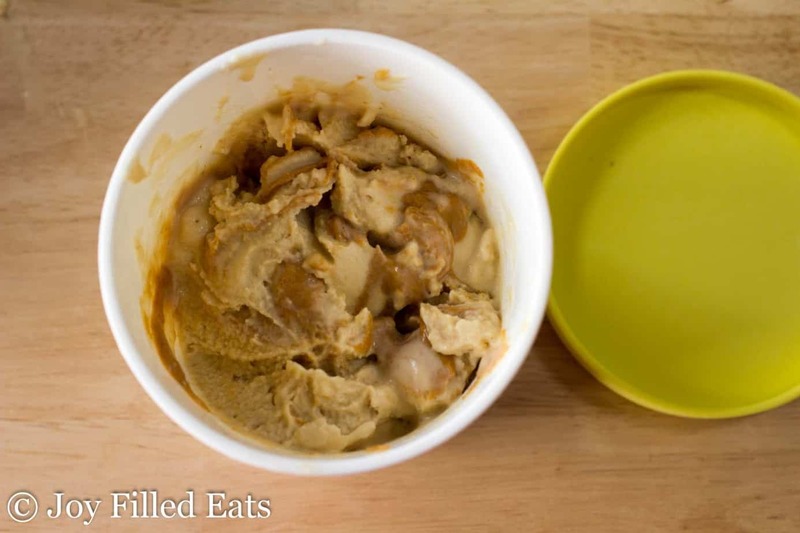 Is the raw coconut butter deodorized? Hi Laurie, I'm not sure what you mean. What size of cans were used for the full fat coconut milk? The standard 13.5 oz cans. Can this be made egg free? 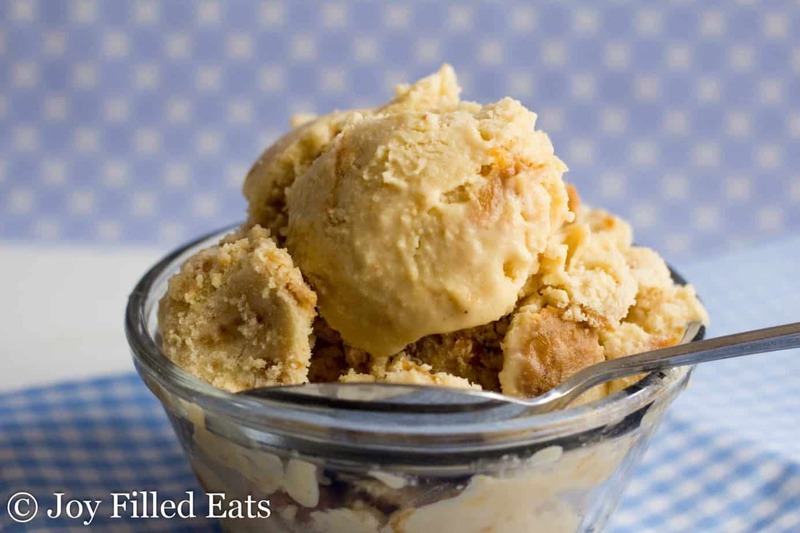 Yes, if you leave the eggs out it may not be as creamy but will still make ice cream. Can you sub butter for the cocoa butter ? This looks good. I don't see a serving size. 1/16 of the recipe. It makes about 2 quarts so a serving is 1/2 cup.